When I was little, I lost my family in the war. But a man named Lork Arnkell brought me in and gave me a home. I dreamed of the day I could do right by him, repay him for his kindness by becoming a soldier in his army. When that day finally comes and I am sent to patrol the border's swamp, it seems like this dream has come true. But something has followed me home. Lord Arnkell's wedding has been attacked by werewolves and this dream is becoming a nightmare. Will I be strong enough to defend the ones I love? Or will I be destroyed by the coming darkness? 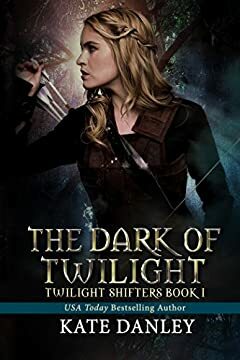 Book One in the complete Twilight Shifters trilogy.